Starring- Sylvester Stallone, Burt Young, Geraldine Hughes, Milo Ventimiglia, Antonio Tarver, Tony Burton, James Francis Kelly. Released in 2006 I remember being so excited for the release of Rocky Balboa and I really wasn’t sure what to expect, but I was still excited since the Rocky series was a big part of my childhood and what I ended up getting was a film far better than I ever could have predicted. Rocky Balboa in my opinion was the best film of 2006 and the best of the Rocky sequels and honestly this film is surprisingly every bit as good as the original, which sometimes people forget how great it was and was nominated for several Oscars including a win for best picture. The first two were more grounded in reality whereas the Rocky III & IV almost felt like comic book film with the hero in Rocky and he villains in Clubber Lang and Drago. Rocky V attempted to go back to the style of the first two with less than spectacular results, but I actually enjoyed it and sometimes I feel as if I’m the only one, but it wasn’t a satisfying conclusion. 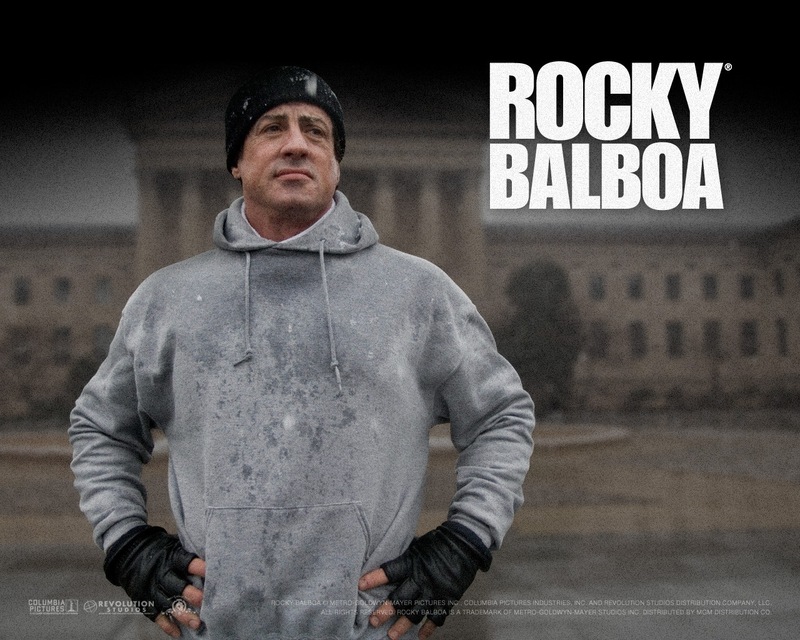 Rocky Balboa on the other hand is a perfect way to the end the series. I saw this the day it came out and honestly it was the greatest cinematic experience I ever had. The crowd was really into the film and cheering on Rocky and when he gets knocked down during the fight people were yelling get up Rock. Normally people talking gets on my nerves, but this really added to the experience for me. Like I said the Rocky series was a big part of my childhood and I remember having various Rocky merchandise including action figures. All of the films were to me at the very least enjoyable, but once we got to the 3rd and 4th it very much got away from the roots of the series though I still liked both films and again Rocky V I liked how it went back to the basics and even though I liked the film it was lacking (though Rocky III would be my least favorite). 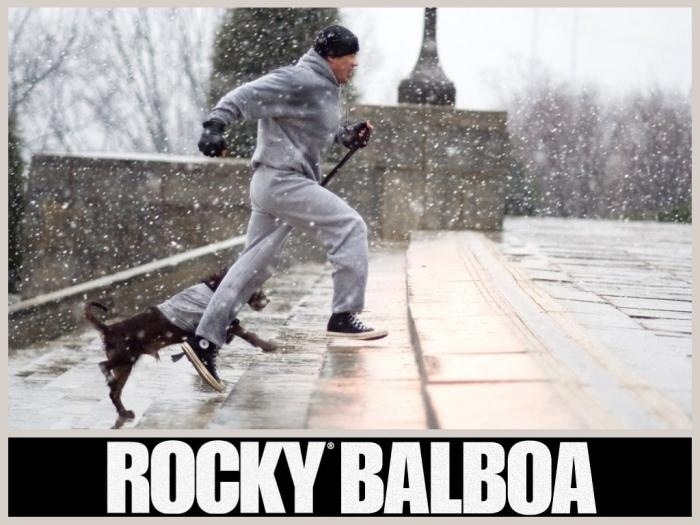 I think part of the problem is even though the odds are stacked against Rocky the underdog aspect of the story were gone after the original as we knew how things would turn out and that in part is what helps make Rocky Balboa so great is the underdog story is back. I think this film came out at the perfect time in Stallone’s career. Back when the original came out Sly was a struggling actor and Rocky helped jump start his career. So in many ways Sly was Rocky; he was broke like the character and a stalling career. When Rocky Balboa came out, Stallone sort of faded and a bunch of his films were either very limited release or even DTV and Rocky Balboa was sort of his comeback. I think had this film been made while Sly was still highly successful it while may have turned out well wouldn’t have been as great. Rocky Balboa gets his chance to show he can still perform at a high level and Stallone showed he can still make a great film and Rocky Balboa helped resurrect his career. The continuity in the Rocky series can be a little off; the first 3 generally flow well together, but after that even if they pick up where the other left off there are issues with the continuity. So I’m not sure how long its been since Rocky last fought, but he’s listed as being in his 50s in Rocky Balboa (Sly was 59 at the time of the release). Also based on his sons age I would assume its been 10-years or a little more. Retired from boxing and now running a restaurant named Adrian’s, Rocky is far removed from his past glory and is quite lonely since the death of Adrian. His relationship with his son Robert (Ventimiglia) is a bit strained since Robert feels as if he’s in his fathers shadow. Meanwhile heavyweight champion Mason ‘The Line’ Dixon (Tarver) is winning fight after fight, but often gets booed out of the arena. Is Dixon this dominate or are his opponents that subpar? Rocky still wanting to compete decides to come out of retirement and fight small local fights, but Dixon’s people see a chance for a great marketing plan. Rocky is reluctant at first, but agrees to a fight with Dixon to prove despite his age he can still compete with the best while nobody gives Rocky a chance to win he’s been in that position before. I’ve always been a big fan of Stallone as both a writer and director and people forget he’s an Oscar nominated writer. Rocky Balboa was by far his best screenplay since the original Rocky. Sly has written a lot of excellent films, but with this screenplay like the original it has heart and real human emotion. As the Rocky series went on obviously they were made due to the success of the others, but Sly still took his time to develop the characters and he does that here. Stallone writes some great and deep characters with plenty of depth. I thought his relationship with Marie (Hughes) was deeply touching as Rocky is just sort of lost without Adrian and his son is always too busy for him and Paulie (Young) has his own life. While some wondered where their relationship would go I always took it as friends, which is something Rocky needed. The world ain’t all sunshine and rainbows. It’s a very mean and nasty place and I don’t care how tough you are it will beat you to your knees and keep you there permanently if you let it. You, me, or nobody is gonna hit as hard as life. But it ain’t about how hard you’re hit. It’s about how hard you can get it and keep moving forward. How much you can take and keep moving forward. That’s how winning is done! Now if you know what you’re worth then go out and get what you’re worth. But ya gotta be willing to take the hits, and not pointing fingers saying you ain’t where you wanna be because of him, or her, or anybody! Cowards do that and that ain’t you! As director Stallone makes the best film of his career. I’ve always enjoyed his work as he’s a great filmmaker, but not in the traditional sense. He’s a guy that clearly knows what his audience wants and often delivers on that. With Rocky Balboa he makes a truly great film. I know I keep repeating myself, but the direction like the writing is touching with such heart. The pace of the film is great and has this tragic feel to it, but by the end its so inspiring and makes you believe anything is possible. 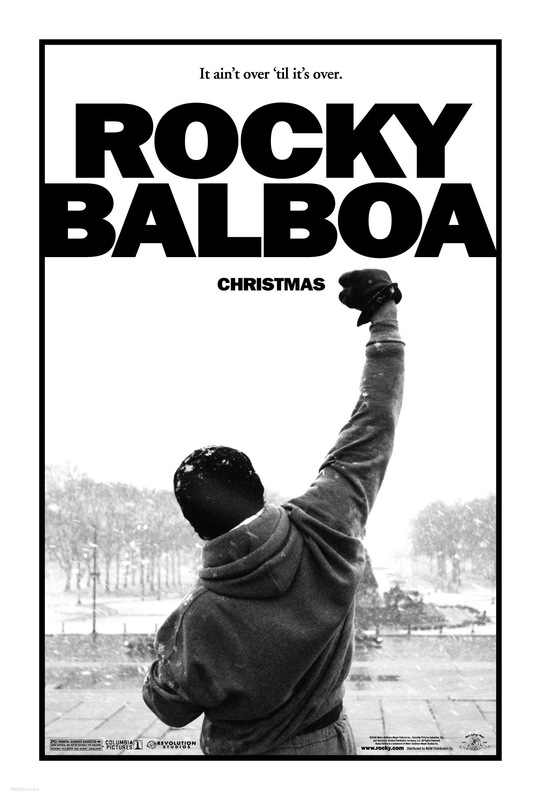 Rocky Balboa the character and film has a ton of heart and emotion. To be totally honest I find Stallone underrated as an actor. As his popularity grew it seemed his performances did lack at times. I never really though had an issue with his acting, but a lot of the times he wasn’t great. However with that said Stallone was excellent in the original Rocky and people may not realize but he was nominated for best actor, but lost to Robert De Niro. De Niro was brilliant as Travis Bickle in Taxi Driver and very much deserved the Oscar, but Stallone was equally as good. I also though Sly was very good in Rocky II and First Blood. But he wasn’t really as great after that, but in Rocky Balboa, Stallone was again at his very best with a very heartfelt performance. If you think Stallone can’t act watch the original Rocky and Rocky Balboa. He was brilliant in both. The entire cast was excellent with Geraldine Hughes being excellent as Marie who like Adrian did gives Rocky the confidence in himself when he needs it. Burt Young again is hysterical and even quite touching with his performance. Like in Rocky V using real life boxer Tommy Morrison, Antonio Tarver is also a real boxer and he’s actually better than one might expect. While he may not be Oscar worthy or anything, but for a guy that isn’t an actor he’s fairly good actually. Like the original Rocky winning or losing isn’t the point. Here in Rocky Balboa after the fight ends he leaves the ring. He doesn’t care what the decision is what mattered he gave everything he got and went the distance and give Dixon everything he had left. Even in the other Rocky films the message behind them were always great and Rocky Balboa is no different. 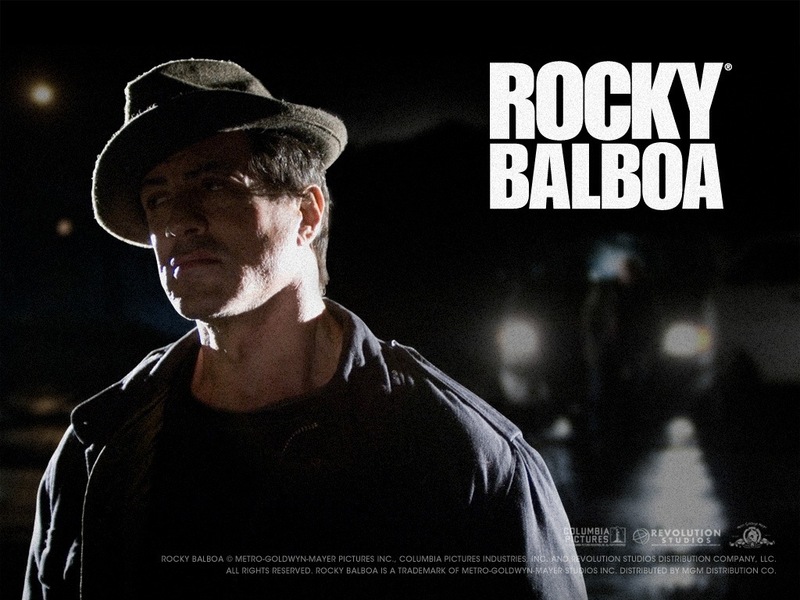 Overall Rocky Balboa is truly a great and powerful film that has plenty of heart. Like I said I was really excited for this film, but it turned out far better than I expected, Rocky Balboa is a winner by knockout. This was truly a great ending to a fantastic series. Thank you Sly for your creation.